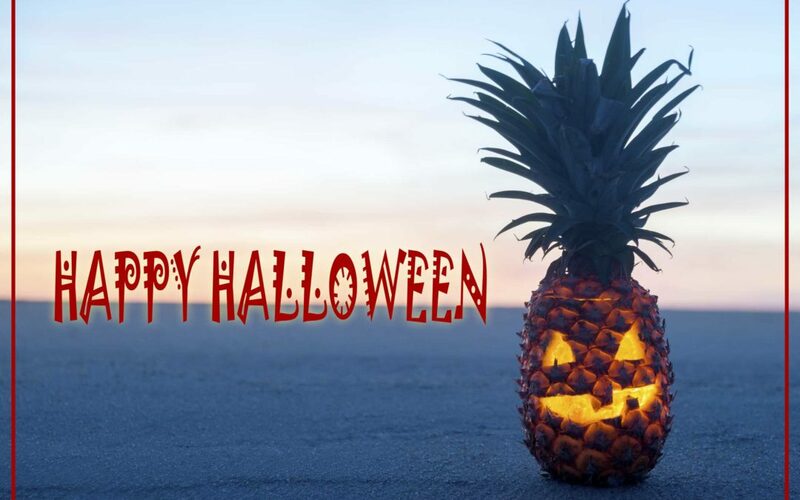 For a fun tropical twist on your Halloween décor, try carving your own pineapple jack-o-lantern. The leaves on top will give your creation a punky look. 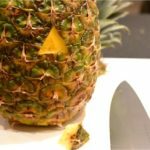 Bonus: You don’t have to cook the pineapple’s innards to make them yummy! Start with a firm, slightly underripe pineapple. 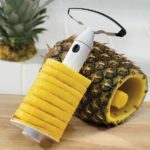 Cut off the end, then slice out the center of the pineapple or use a pineapple slicer to make the job super easy. Save all that yummy pineapple fruit to eat! Rinse out the pineapple and pat dry. Use a sharp knife to cut out your design or face. 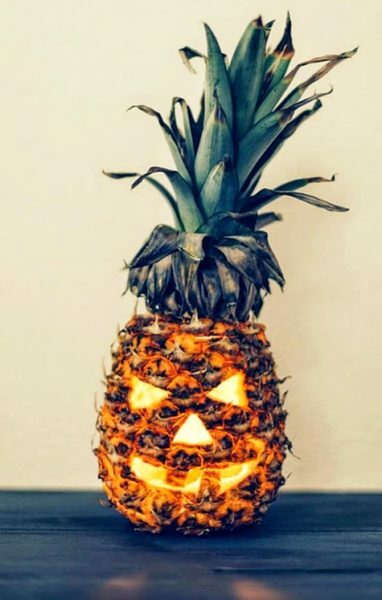 Put a small candle or battery-operated tea light in the center and watch your pineapple glow!